There are plenty of ways to customize your own company. 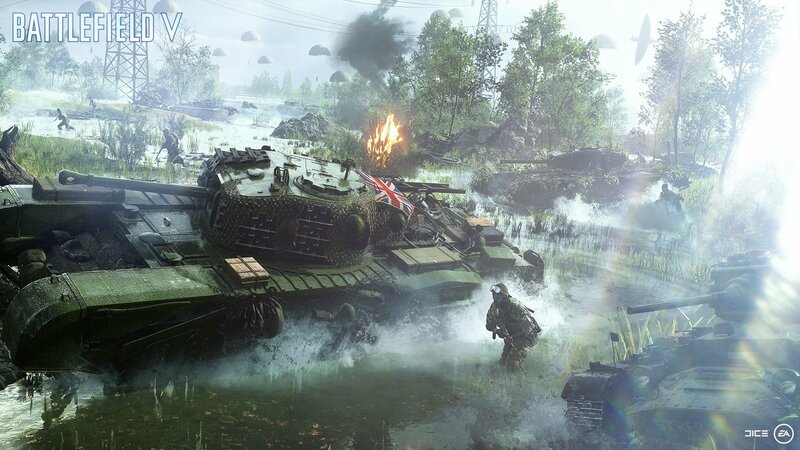 A new trailer shown off today during Gamescom 2018's Inside Xbox stream detailed some of the finer points about Battlefield 5's Tides of War journey, as well as information on how it handles progression, down to your Company and the way you interact with other characters in-game. It all comes down to your Company, which is essentially the group of soldiers, weapons, vehicles, and other aspects of the game you've customized to your liking throughout your time with Battlefield 5. The video introduces special roles for each Company member: classes including Medic, Support, Assault, and Scout, each meant to accommodate a specific play style. You can change up their gender, outfits, skin, war paint, and various other aspects of their characters as you play, and swap out your loadouts that work best for whatever operation you have coming up. It's not just your soldiers that are eligible for different looks and outfits, either – you can also customize vehicles like tanks with special paint jobs, camp, and other fun ways to kit it out in ways that work for you. The new footage released today goes over much of this, as well as new soldier Archetypes for additional play styles and other ways you can continue making the experience your own, something Battlefield 5 is working to ensure is very much an option for all players. Soldiers will be customizable from "top to bottom," according to developer DICE, which is great news for anyone looking to get a bit more immersion out of the game. Battlefield 5's open beta kicks off next month, but the full game debuts on September 4 for those with Early Access. Everyone else can pick it up on September 6. Typo in article. It's Battlefield V. Not 5. That's not a typo. Aside from the fact that they mean the same thing, it's written that way for max SEO purposes. I literally thought this one was was "Battlefield Vee", like "V for Victory". LOL. Google prefers Arabic numerals, as does most of the world's population since around the 1500s. Now if only game devs could get the memo.